The revelations surrounding secret company 17 Black dominated almost all of the main stories of Saturday's newspapers. as power station businessman Yorgen Fenech, had its company account in Dubai frozen. It also reported that learning support educators working in the government's learning centres are arriving home from work “bruised and battered”. In light of the 17 Black revelations, In-Nazzjon reports Opposition leader Adrian Delia saying that Prime Minister Joseph Muscat had a choice to make between defending his country or his two closest associates. 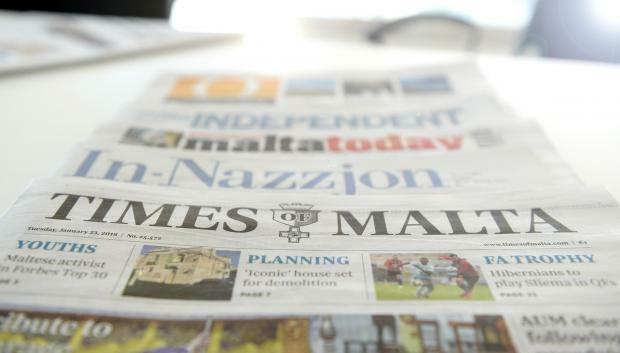 The Malta Independent takes the same line, reporting Dr Delia calling for the dismissal of Keith Schembri and Konrad Mizzi. L-orizzont reports that all organic waste was now being treated. It also says that more than €1 million in funding from the Individual Investor Programme scheme were now going towards a Mater Dei hospital project.